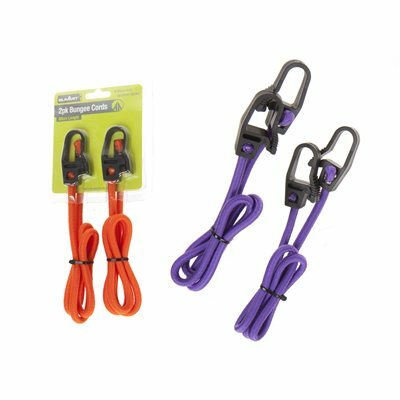 Twin pack flat bungee cord. Great for securing luggage whilst travelling. Available in orange or purple. *This item comes in various colours which will be picked at random. If you would like a specific colour options please request the colour required in the order notes.